What is it with all the flag waving going on at the moment? Right-wing racist groups treat flags like their something sacred that every patriot should bow down and worship. Anyone who doesn't is called an unpatriotic leftist, a traitor. But what does the Australian flag represent? In one corner we have the Union Jack; a flag that brought terror to the traditional owners of Australia and a sign of imperialist aggression in every country conquered by Britain. Underneath that, we have the Commonwealth star; another symbol of our ties with colonialism and imperialist aggression. On the right, the Southern Cross is the only part of the flag that makes any sense in a modern Australia. 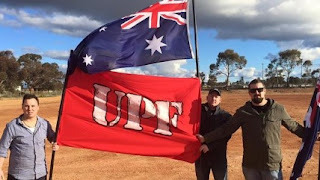 It was first flown at the Eureka Stockade and has remained a symbol of resistance against oppressive federal and state governments ever since. And here we have racists from the UPF using our flag for well let’s see … racist purposes. Do they even know what it represents? They claim to be patriots, yet we all know patriotism is just a cover word for racism and bigotry. The First Nation people’s flag is black, yellow and red. 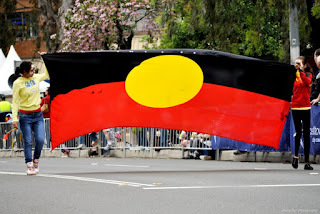 Black represents the Aboriginal people of Australia. The yellow circle represents the sun, the giver of life and protector. Red represents the red earth, the red ochre used in ceremonies and Aboriginal peoples' spiritual relation to the land. If we are serious about making amends for our brutal treatment of aboriginal people in the past these elements need to be incorporated into a new flag. 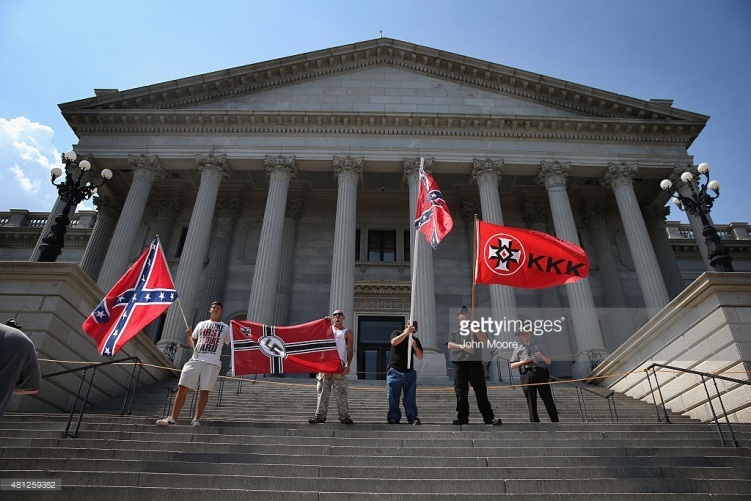 In the below photo, racists from the Ku Klux Klan fly their confederate and Nazi flags outside the Mississippi state legislature, protesting against the anti-racist 'Black lives matter' protest…except it’s not a confederate flag at all it’s the battle flag from The Army of Northern Virginia a flag only to be used in battle by said army during the civil war from 1861—65. So these 'patriots' are in effect disrespecting the southern veterans they claim to be … er … respecting. Another favourite of racists in both in the US and Australia, is the Nazi battle flag that represented our common enemy in which the Anzacs and other Allied forces lost so many lives fighting against … and these racists claim to be patriots? The Hammerskins are another neo-nazi racist group on the rise. Originally started in the US, they're now recruiting in Australia. Obviously not the sharpest tools in the shed, they are nonetheless dangerous white supremacists who've embraced the extremist ideology of Hitler, the West's enemy number one during World War II. Their logo depicting two claw hammers crossed to resemble goose-stepping legs, is based on a fictitious neo-Nazi organization featured in the 1982 film Pink Floyd – The Wall. The portrayal of the fictional group in the film was intended to show the lunacy of Nazism and Fascism, not to be an instruction manual. The movie highlighted the damage caused and the lives lost in the fight against such intolerance and hate, yet neo-nazi organisations persist in furthering their extremist views through nationalism and a warped idea of patriotism. 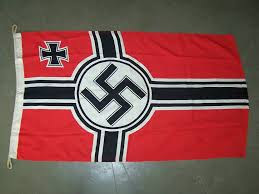 So what does a flag truly represent? In modern society it should be used to represent a country, a state, an institution or a decoration for public festivities and celebrations. When a flag is used to intimidate and denigrate a particular group of people based on race, religion or other factors, under the guise of 'patriotism', it becomes a symbol of oppression and bigotry which cheapens the flag's true purpose. Something that a true patriot wouldn't do. Those who wrap a flag around their ideology of hate have become known as 'hatriots' rather than patriots. They are the true traitors to the ideals of freedom, inclusion and the rights of all to live in peace which most western nations are founded on.